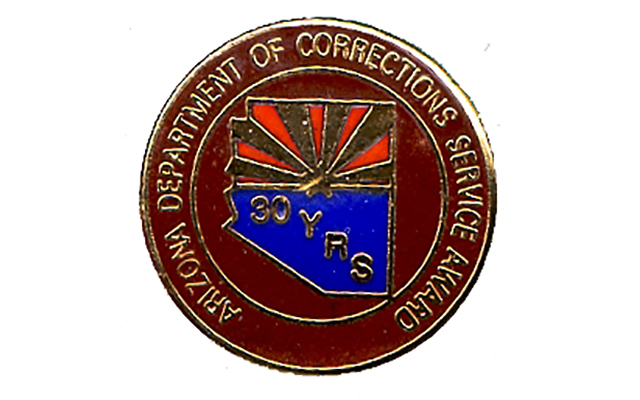 The Arizona Department of Corrections badge dates back to 1955. 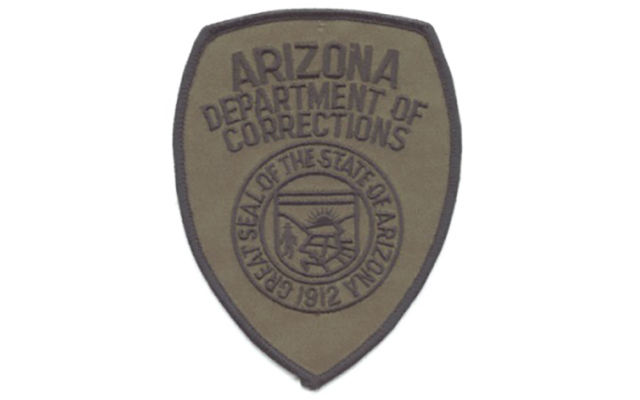 In 1955, ADC Officers were issued a silver, shield-shaped hat badge with an eagle at the top and the state of Arizona seal in the center encompassed by the words "State Prison Guard." In the 1960s, the hat badge was changed to a similar, larger badge. The major difference between the two badges was the reference to officers. 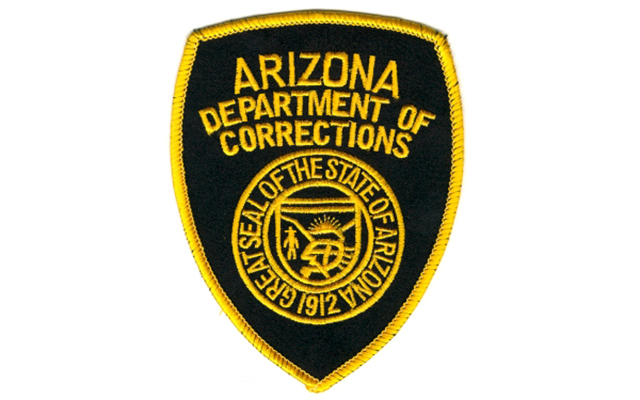 ADC Officers were referred to as "Prison Officers" rather than "State Prison Guards." 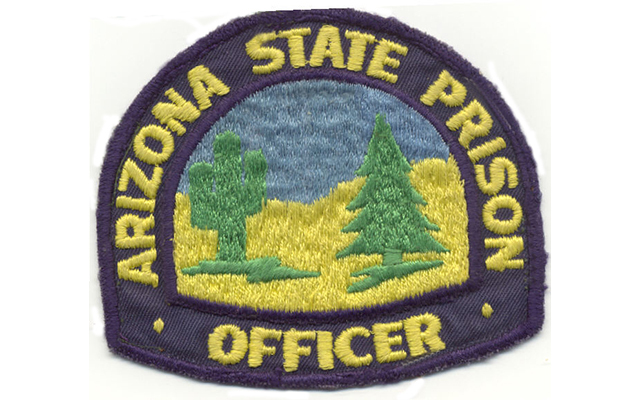 From 1970-1980, the badge shaped was altered to a rounder shaped badge with the words "Arizona State Prison" encompassing the state seal. 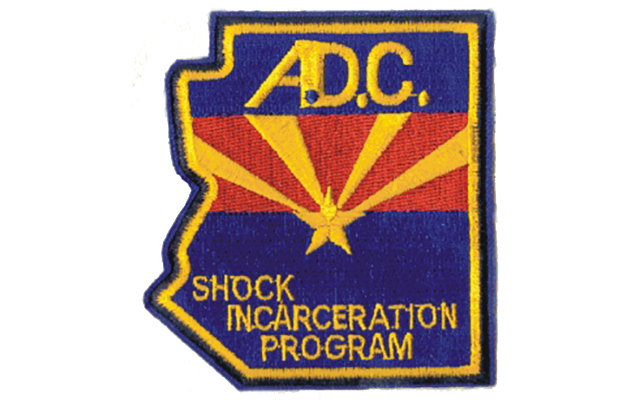 In 1981, ADC changed the shape of the badge to the state of Arizona outline. 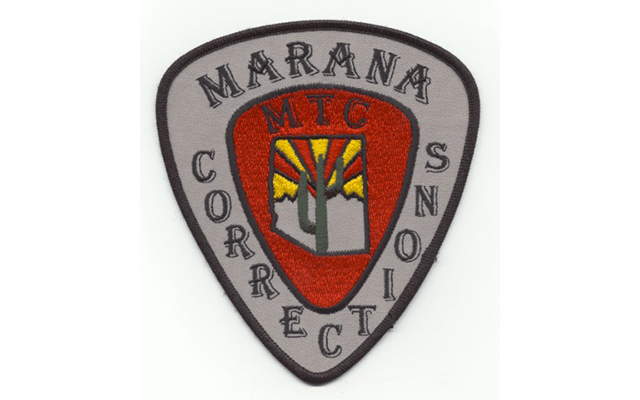 This badge was worn on the uniforms of Correction Officers, Lieutenants, Sergeants, Captains and Majors. The personnel of Inspections and Investigations and Parole Officers badges differed from Officer badges. Parole Officers wore a gold shield-shaped badge. 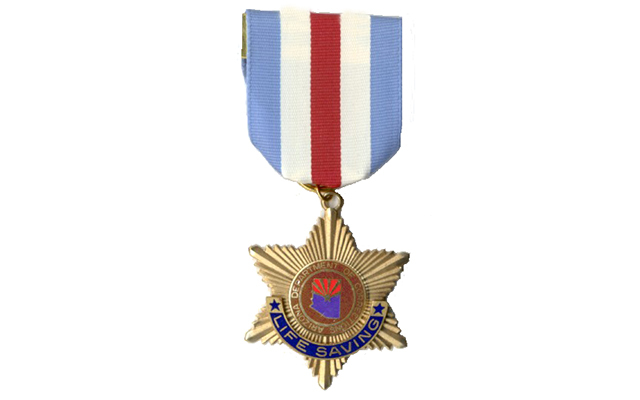 Inspections and Investigations and other officials within the Department, including Wardens, Deputy Wardens and the Director, wore a seven-pointed star badge. 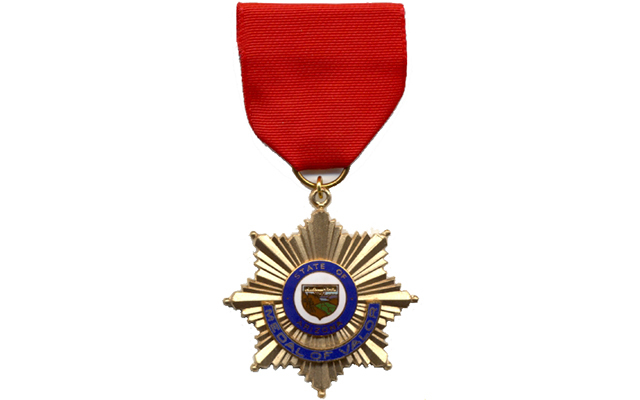 The seven-pointed star badge was changed from a flat silver badge to a curved gold badge. In 2008, all ADC Officers began wearing the seven-pointed curved gold badge. Presented to an employee for performance greatly exceeding the normal demands of the Department. Presented to an on-duty employee who saves a life. 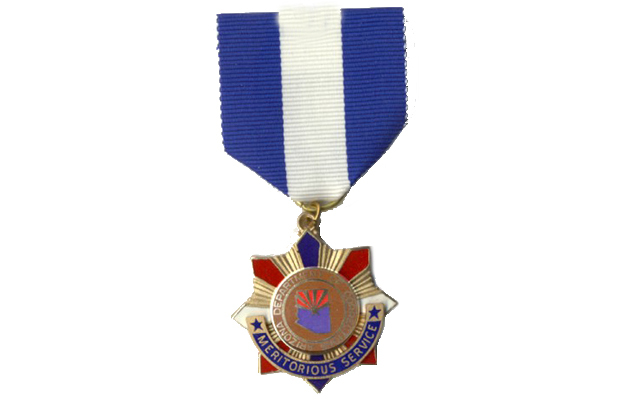 Presented to an employee for an on-duty act of heroism that involves a conscious risk of life.